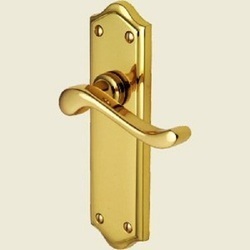 We are manufacturer and exporter of high quality brass handle. Brass Door And Window Handle. Avail an exquisite array of Brass Door Handle from us at affordable prices. Brass Door Handle, offered by us, is designed to give a remarkable look to your establishment. With alluring designs and fine finishing, our gamut of Brass Door Handle adds grace to the interiors. Brass Gold Plated Handle 16"
avail from us, brass door handle that is designed using optimum quality brass materials. This brass door handle can be availed at affordable price. 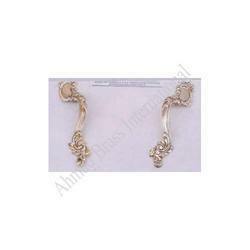 We are offering Brass Handicraft Door Handles in different finishing. These are available in various sizes and shapes.